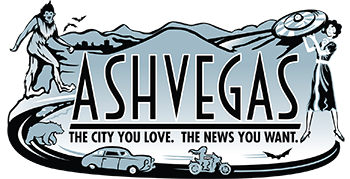 Here’s a quick look at some of the many fun things happening around Asheville this weekend. Check out our video highlight of the annual Just Brew It homebrewing festival, featuring Janeen Hulbert, a winner in one of the categories of last year’s event. Special thanks to Fifth Season Asheville Market and Appalachian Vintner for their hospitality! –Woodfire NC, a conference of potters who woodfire their work. One highlight is a Sunday event that is grand opening event for artist Akira Satake’s new studio in Riverview Station, #165, 191 Lyman St. The event includes a “mini-concert” by Satake, a master banjo player, and Anya Hinkle, a singer-songwriter who fronts the Asheville bluegrass band Tellico. Check the link for the full rundown of events. –Singing Alive Appalachia is a five-day celebration of song and community that continues through the weekend. Single day passes are still available on their website. –Pierce Edens album release show, 9 p.m. at The Grey Eagle. Edens celebrates the release of his fifth studio album, Stripped Down, Gussied Up. –Brevard Blues and BBQ Festival, Friday and Saturday at Brevard Music Center. Musical guests include Delta Moon, Lee Griffin Band, Peggy Ratusz and the Daddy Long Legs, Dangerous Gentlemens and Mojo Brothers Blues Band. -The world premiere of the new short comedy film Emojional Breakdown, by Asheville producer, improv performer and voiceover professional Sharon Feingold, 7 p.m. at The Altamont Theatre.The film stars Reeni Lindblom-Dowd and Michael Shenefelt, with appearances by local funny people, including Grayson Morris, Jeff Thompson, Tabatha Hall and Michael Thomas. The film is directed by Tom Chalmers. It’s written by Chalmers, Feingold and Scott Smith. Shane Peters served as director of photography. Following the short film, the improv group Reasonably Priced Babies will perform. -New work from Tryon artist Margaret Curtis at the Satellite Gallery in her show, Collide-O-Scopic/Conflate-O-Matic. The opening reception starts at 7 pm. –Tie Up, Draw Down Opening Reception and Curators’ Talk at the Center for Craft, Creativity, and Design (CCCD). The show “explores weaving as a source for experimentation across media, genres, concept and scale.” Begins at 6:30. –Just Brew It homebrewing festival, a homebrewing competition and benefit for the Just Economics nonprofit, which works in support of a living wage in Asheville. Just Just Brew It is a benefit for member, so to attend, you must be a 2017 member of Just Economics before June 3, indicating your interest in attending on the membership form. -ZaPow! art gallery’s grand reopening, 7 p.m. at 150 Coxe Ave. on the South Slope. –Silent Sundays, 7 p.m. at Grail Moviehouse, 45 S. French Broad Ave. The show includes four short comedic films, with an introduction and question-and-answer period hosted by Frank Thompson and live music provided by Asheville pianist Andrew Fletcher. –Rooftop Yoga at the Social Lounge with instructor Julie Hruska. 10-11 am; stay for brunch after class. Tags: Akira Satake, Andrew Fletcher, Anya Hinkle, Appalachian Vintner, Asheville, Asheville Beer Week, Asheville Events, Asheville Grit, Ashvegas, Brevard Blues and BBQ Festival, Brevard Music Center, Center for Craft Creativity and Design, comedy, Emojional Breakdown, fifth season gardening center, Frank Thompson, Grail Moviehouse, Grayson Morris, improv, Jeff Thompson, Julie Hruska, Just Brew It, Margaret Curtis, Michael Shenefelt, Michael Thomas, Reasonably Priced Babies, Reeni Lindblom-Dowd, Satellite Gallery, Sharon Feingold, silent movie, Singing Alive Appalachia, Social Lounge, Tabatha Hall, Tellico, The Altamont Theatre, The Grey Eagle, The Odditorium, West Asheville, Woodfire NC, yoga, ZaPow! Jason, Just wanted to make sure you mention somewhere the first RiverMusic concert of the year. It’s this Friday at Salvage Station with 3 bands headlined by Austin’s Black Joe Lewis.